Within 90 minutes of the first alarm triggered by the oncoming lahar from Mt Ruapehu, three teams of Massey volcanologists and students were dispatched to catch the phenomenon in action. At the peak of the torrent they collected sediment samples, measured the speed and density of the flow, and hoped that instruments installed along the Whangaehu River would survive the tumult of boulders and trees. PhD student Susy Cole was one of 17 postgraduate students and research officers from the Volcanic Risk Solutions research group and the Institute of Natural Resources waiting for the lahar. An hour before the flow reached Collier’s Bridge (approximately half way between the mountain and the coast), Ms Cole installed the last of three seismometers to gather information about the vibration of sediment in the flow. The instruments were purchased in December as part of a $720,000 Marsden Fund project led by Dr Shane Cronin, director of the Volcanic Risk Solutions Group and Dr Vern Manville from the Institute of Geological and Nuclear Sciences (GNS). 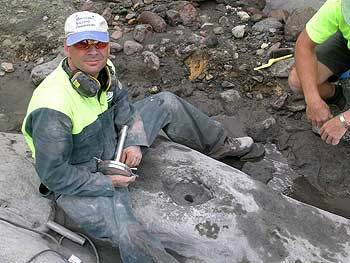 Dr Cronin says the technique used to gather information about the internal dynamics of the lahar, using the seismometers, is a world-first in volcanology. In the past two years Dr Cronin and Ms Cole trialled instruments and fine-tuned their technique at the site of lahars in Semeru, Indonesia, and their results will be crucial to global volcanology. At a meeting hosted by the group, the Massey team met with researchers from Horizons Regional Council, the Department of Conservation and GNS to swap data and share experiences after a week of intensive fieldwork following the event. Dr Cronin says all the sensors and instruments installed in the path of the lahar worked perfectly and that several significant results have emerged from the data. 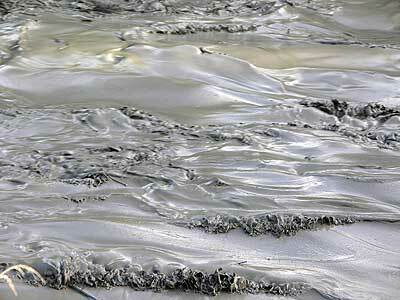 The most surprising result relates to the high density of water compared to the sediment-heavy lahar that broke from Mt Ruapehu’s Crater Lake in 1995. “We were able to measure the density of a lahar for the first time using a pore pressure sensor installed in the bedrock of the river, and a radar suspended above the flow,” Dr Cronin says. He says the “lighter” more watery flow may be the reason for the comparatively mild amount of damage in its wake. He says the time of year impacts on the amount of sediment, which may account for the differences between the 1995 (early spring) and most recent lahar. 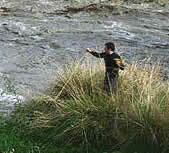 lahar up to the peak of its flow was “normal” water from the river followed by water from the Crater Lake. The impact of the lahar on the riverbed and mountain will be established in the near future when Drs Cronin and Manville conduct an aerial survey using digital laser technology to take up to 83,000 measurements of the land surface per second. Using this data they will create a 3D topographic numerical model of the channel, and compare it with that created before the lahar in February 2006. Dr Cronin says the flow matched a predictive model developed by PhD student Jon Procter. Drs Cronin and Manville recommended the bund following the 1995 lahar, and later installed it at the base of the mountain where it spills onto the surrounding fan of flat slopes. Professor of Earth Science Vince Neall was positioned at Collier’s Bridge with three postgraduate students. 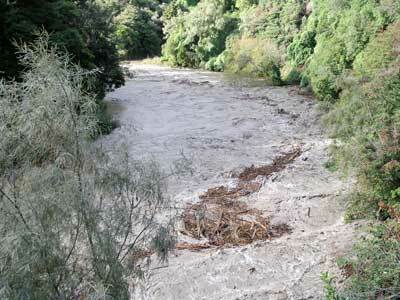 They estimated the lahar travelled at peak speeds upstream of about 35km/h, dropping to 20km/h in the lower reaches of the Whangaehu River. In mid-February Professor Neall made a field trip with Department of Conservation scientists to study the tephra dam, and the consensus was made that the damn would break in March or not again until next summer. 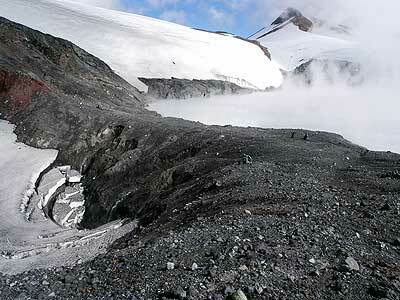 He says the lahar was a “purely gravitational event” in a total absence of volcanic activity. Of the possibility of volcanic activity related to the lahar, he says it is generally accepted among scientists that the hydrostatic pressure of a crater lake can reduce small-scale volcanic activity.